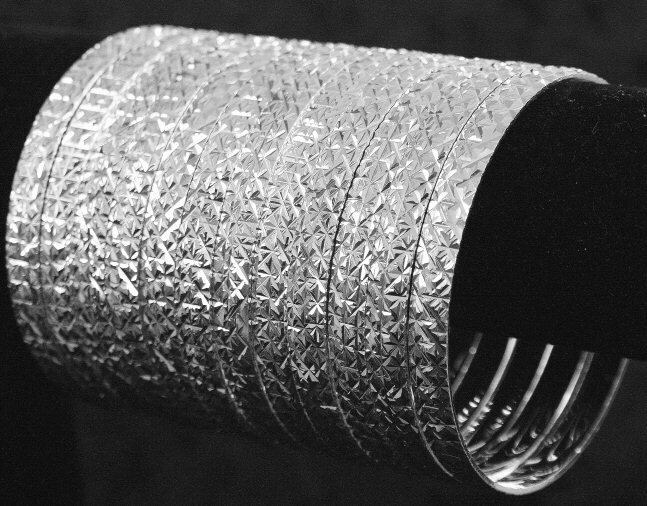 Description These bangles are diamond-cut designs and are top-quality, durable, glitter micron finish. BNB style bangles are our newest addition to our bangle inventory by popular demand! Available now in Gold tone and Silver Tone finish. Size Range We currently have only Size 4 in Silver tone. If you need other sizes, please contact us.